… hosted by Dave! We start at 7PM. Bring your instrument, let’s have fun! Our first time at the Snow Squall in South Portland and we are very excited about it! Our usual duo will be augmented with Monique Gaudet from Saved and Sound on vocals for one set. Come on down! Thinking about adding this song to our live repertoire. What do you guys think? Acoustic cover of Keith Whitley’s Don’t close your eyes – listen now! 50% OFF UKE’N’SMILE’S ALBUM BACK TO THE ISLANDS – LIMITED TIME! From now until the end of the month, to say thank you for all the support the band has received, we’re providing a coupon to get 50% off our CD titled Back to the Islands. If you’ve come to the shows, you know a bunch of those tunes already, and we’d love to make it inexpensive for you to add said tunes to your library! 2. click on the “buy now” button. 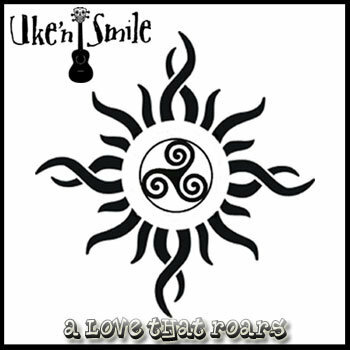 I wanted to write songs for Uke’n’Smile but nothing I wrote felt like UnS material. So a week into the effort I had enough songs for a solo album, which I named Writing songs, righting wrongs. … and free online streaming! Click here to listen online for free now! She’s worth – please listen! Uke’n’Smile is back at JP’s! Have you been there lately? There’s a new stage, and a dancing area. You know you wanna come to SoPo and party the night away with us!